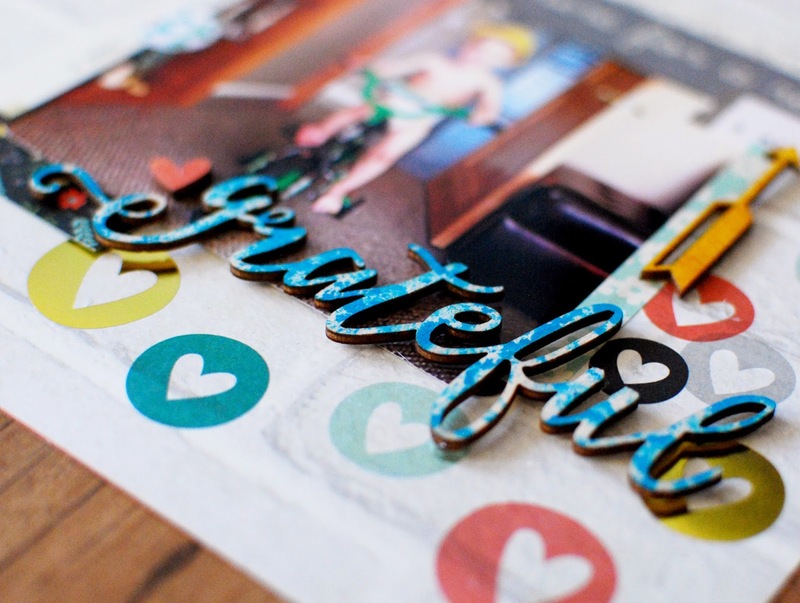 Find your Grateful sheet, a few other Elements pages, and a 4x4 picture. Start by placing them like the image. Feel free to add more items you love. 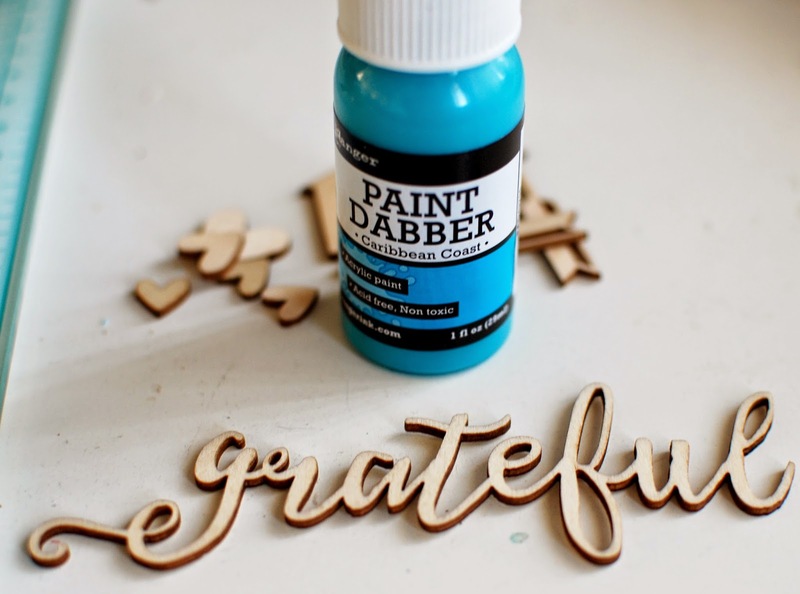 With the Caribbean Coast Paint Dabber, randomly dot the ink on the Grateful Wood Veneer. 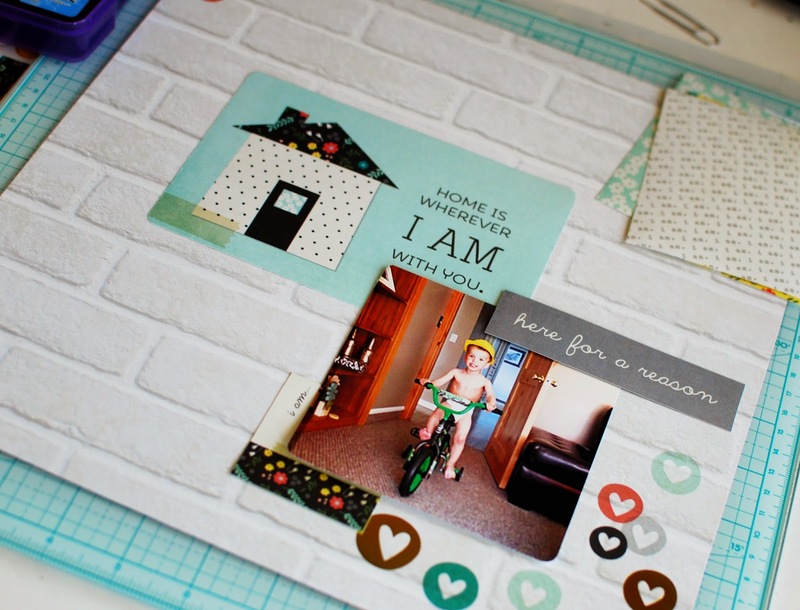 Once you have the base of the layout ideal, start to secure the pieces with double sided tape. I never push them into the paper too hard, just in case I need to pick them back up and place more details under them. 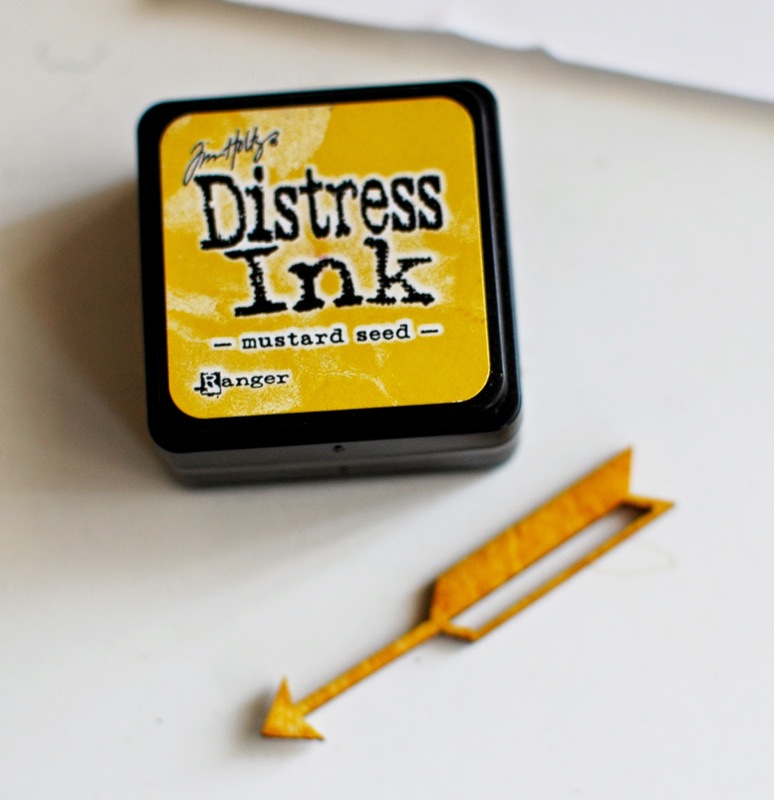 With your Mustard Seed Distress Ink, color this Arrow Wood Veneer, and set aside to dry. 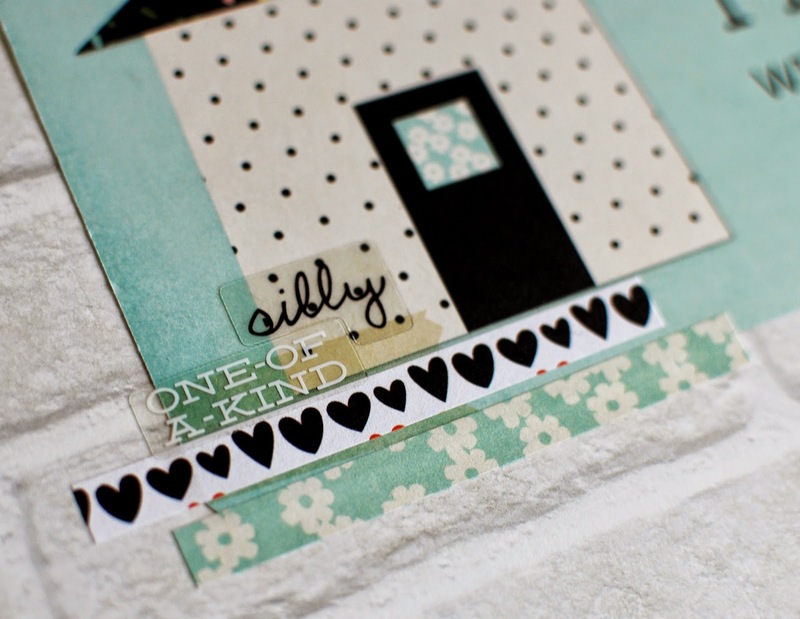 Start adding some Washi Paper Tape to the edges of your Elements pieces. Layer them however you like! Here I added the Silly and One Of A Kind Photo Stickers. 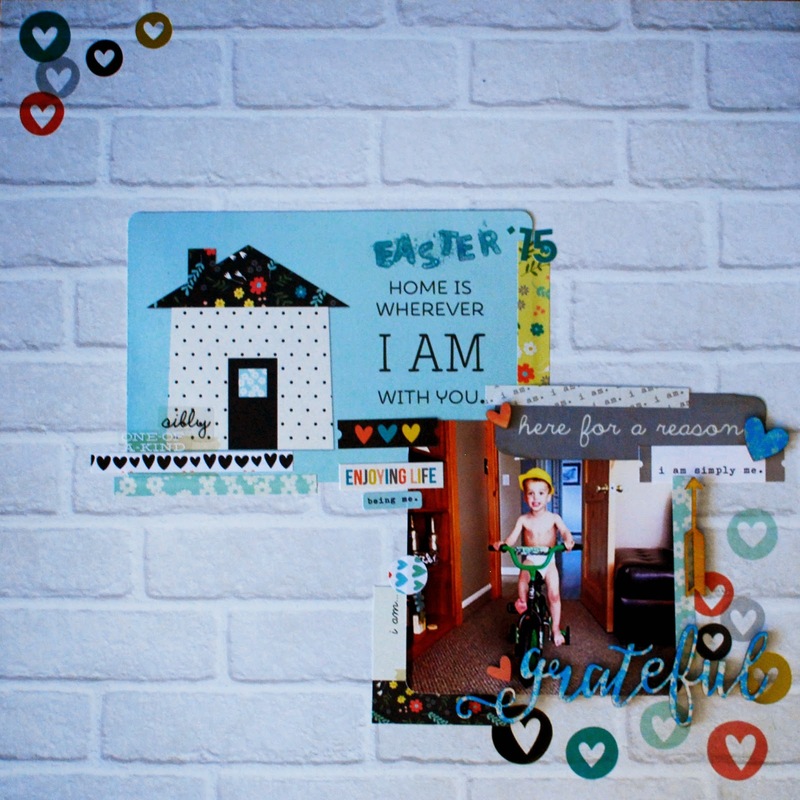 Add some stickers that you love around the page. 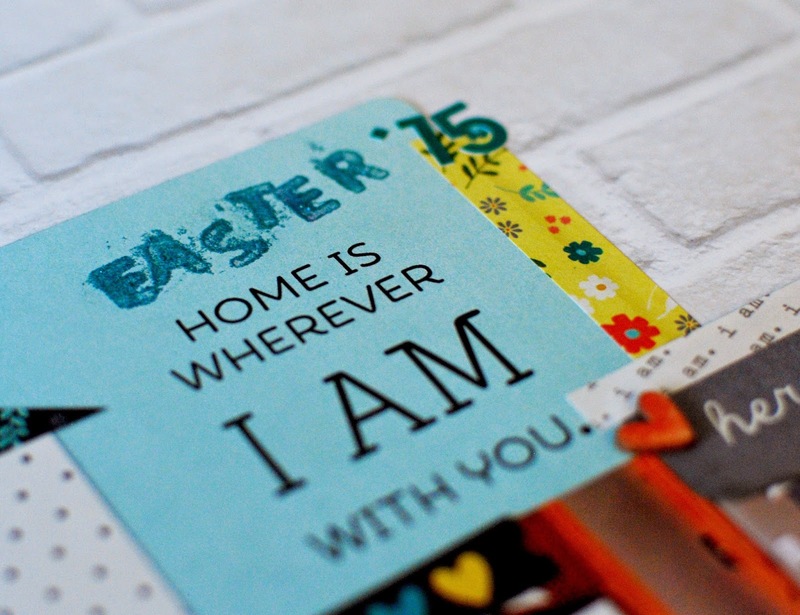 I stamped Easter ’15 with some glitter as well. 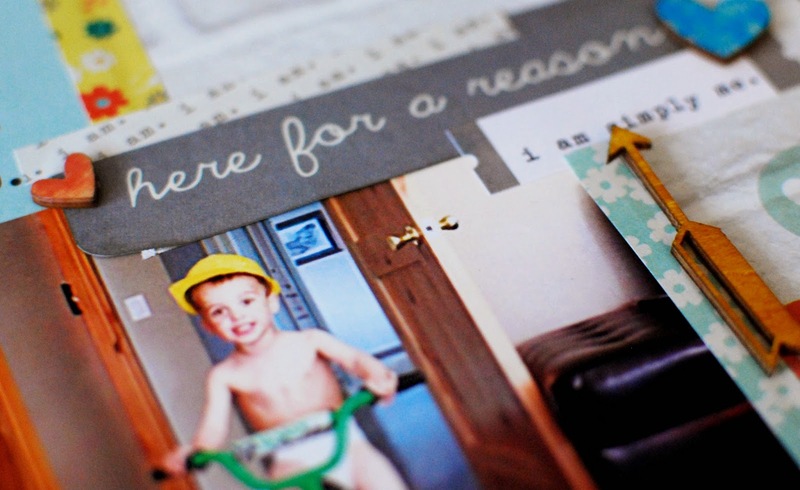 With your hot glue gun, secure the Wood Veneers down. I usually add a few more details at the end. Here you will see I inked a few Heart Wood Veneers and glued them to the page as well. 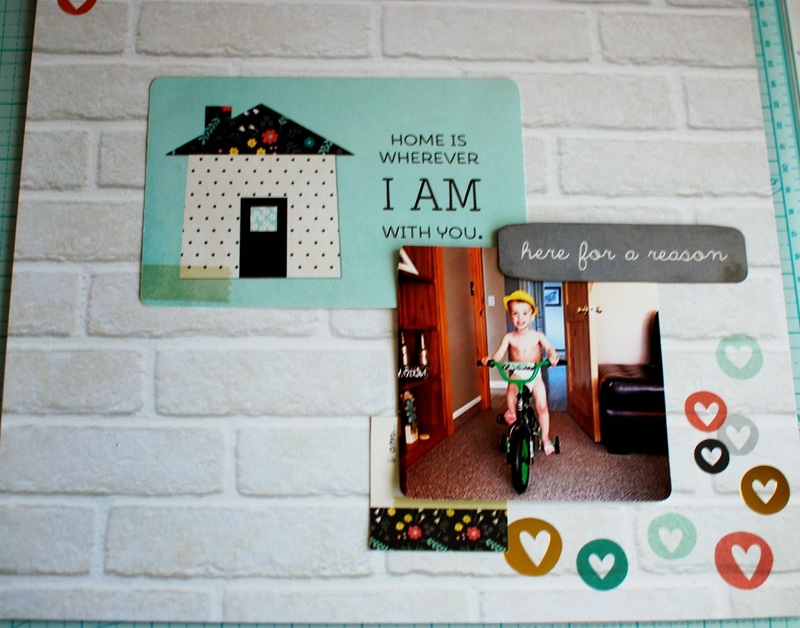 Enjoy your I AM Layout! Very cute! Great titlework and colors! I love the brick background!